The last Mushroom Band release of new material as the band were gradually going in different directions with outside activities. Swordfish had his time taken up more and more with the success of Astralasia and Garry and Kim were working on their acoustic "Moonboot Oz" project. However the album again features some great Moonboot songs alongside more Swordfish inspired instrumental pieces. 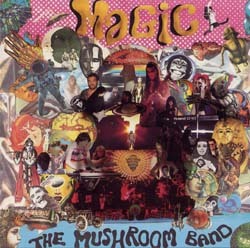 The album was released under the "Mushroom Band" title in order to try and counter some of the unfair prejudice the band had been receiving. A lot of people had dismissed them as "spaced out hippies" but clearly they were far more that that as this album shows.